Bricks in the Wall: Are We Alone in the Galaxy? Bandwidth via Parallelism, or Composability via Concurrency? 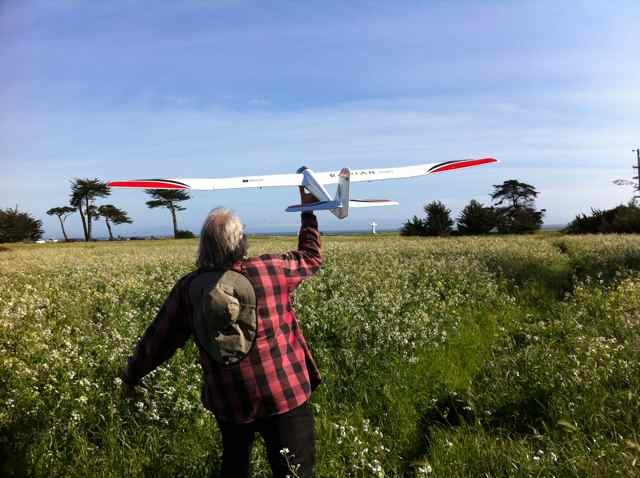 We flew the new Radian Pro BNF at Lighthouse Field, using the Spektrum DX8 transmitter. Binding was flawless, and the Radian is beautiful…it floats like the proverbial butterfly. A bit too much so, perhaps– I’m going to have to learn how to bring it down much closer to us than I’ve so far been able to do. It’s so light in the air that I keep overshooting. Someone asked if that’s a large cross in the background, It isn’t; it’s the Lighthouse Field sign seen end-on.